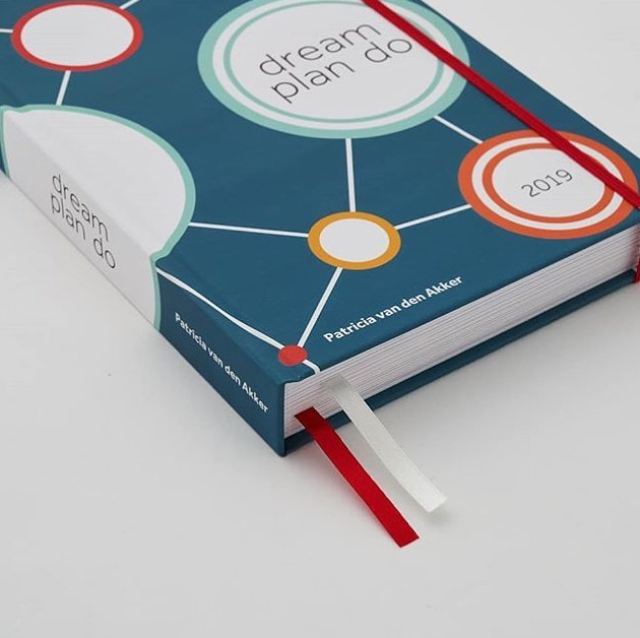 Dream Plan Do is a planner written by Patricia van den Akker, Director of The Design Trust, in 2016. The book is based on Patricia’s 25+ years’ experience as a business adviser, trainer and coach to thousands of creatives, especially designers and makers. Dream Plan Do was the result of Patricia seeing so many creative businesses struggle. Stepping out of a creative education or trying to turn a creative hobby into a business is extremely difficult with no business training. Making something beautiful is one thing, selling it to someone is a whole other story. Patricia saw that many makers lacked business knowledge as well as focus. They weren’t setting clear goals, nor were they working on their finances or marketing. They simply weren’t making enough money for all the hard work they were putting into creating. The planner contains practical planning tools and checklists with expert business advice to get creatives more focused and organised.